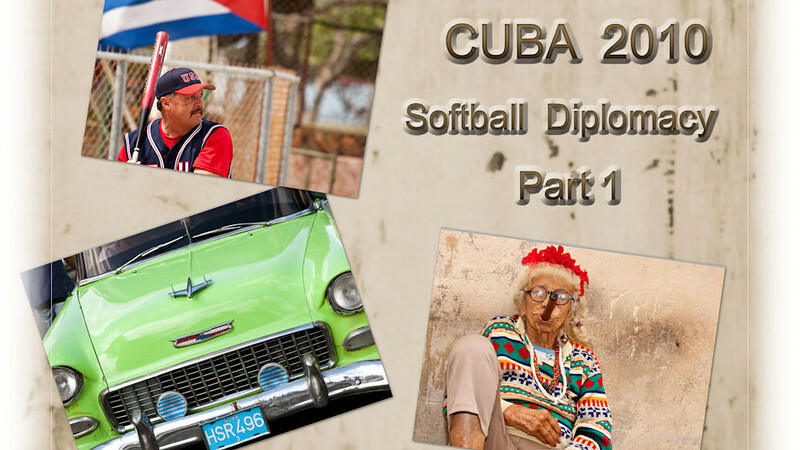 Two U.S. men's senior slowpitch softball teams traveled to Cuba to compete against 4 Cuban teams from Feb. 15-23, 2010. The event was organized by International Sports Holidays which is affiliated with Senior Softball USA. Part 1 focuses on life in Havana with a one-day excursion to Pinar L Rio. Part 2 centers on our softball play. Our Cuban "seniors" were on the average about 20 years younger than our American players, which tells you the outcome of the games. Despite this large difference in ages, the Cuban teams were great fun to play and the entire trip was a fantastic cultural experience. The Cuban people are warm, friendly, and oh so poor!